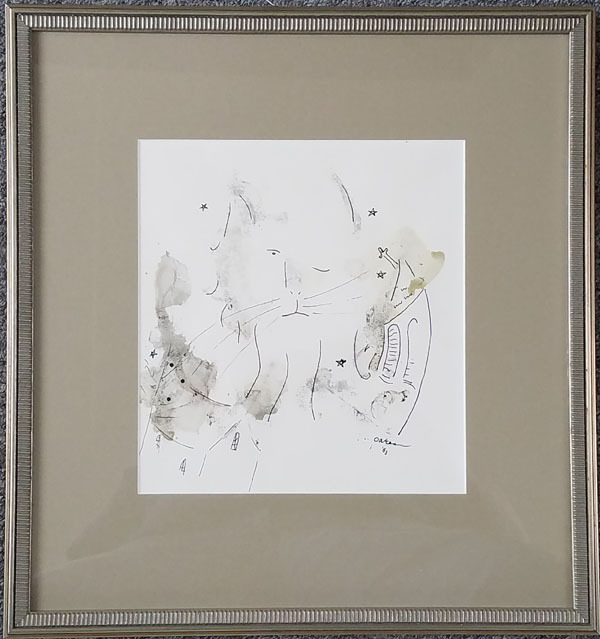 Early Pen & Ink and Wash on heavy watercolor paper - 1980's - $6,500. The Artist was born in Rockland, Maine on August 8th 1956, and raised in the nearby fishing village of Port Clyde, where generations of his family made their living from the sea. Located at the southern end of the St. George Peninsula, surrounded by the sea, with Monhegan Island a scant 9 miles offshore, Port Clyde has always been a world of it's own. The likes of Robert Henri, Rockwell Kent and three generations of the Wyeth family have all passed through on their way to Monhegan or settled nearby. The fact that Andrew Wyeth was often in town was not lost on the young artist. His Uncle, Walter Anderson, was one of Wyeth's closest friends and one of his most notable models. William Thon, a contemporary of Andrew Wyeth, who had settled here in the 1940s, recognized Oakes' ability at an early age and was a mentor. 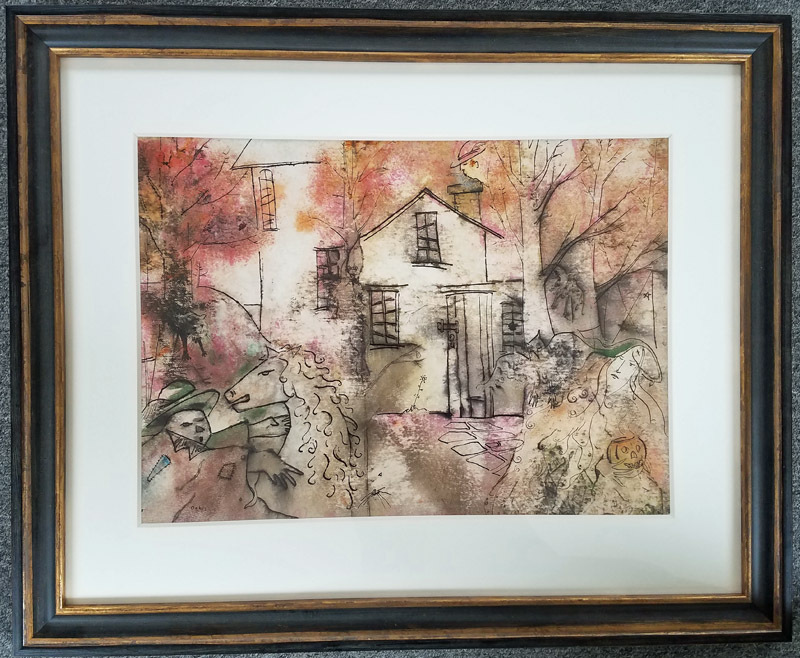 Charles Oakes is seen as a poetic folk artist that paints what he loves, the symbols of his childhood home, heritage and family. He has steadfastly followed his muse for over 25 years. His work has consistently broken new ground, expanding both his range and his audience. His appeal is largely that his works are both naïve and sophisticated at the same time. 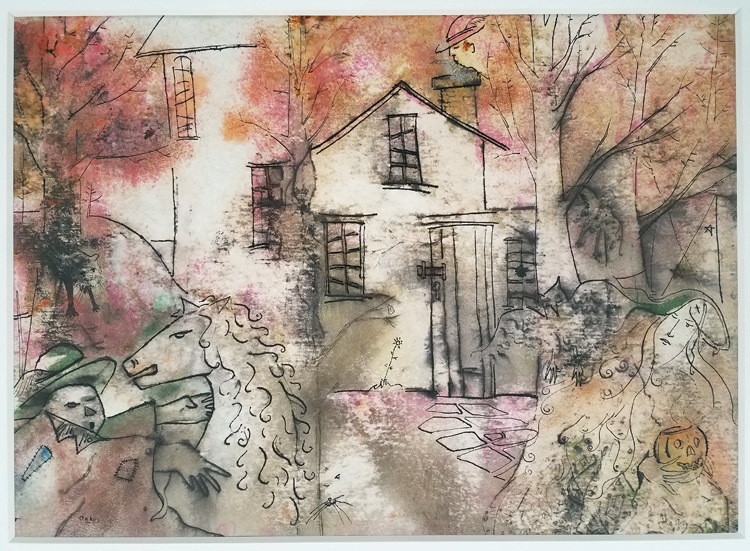 The Artist has exhibited his work extensively in Maine including with the Portland Museum of Art, Farnsworth Art Museum, Hobe Sound Gallery, The University of Maine, The State House In Augusta, Bowdoin College, Maine Coast Artists, Barn Gallery in Ogunquit, The Exhibitions: Significant Artist's In Maine and with many Fine Art Galleries in Maine. 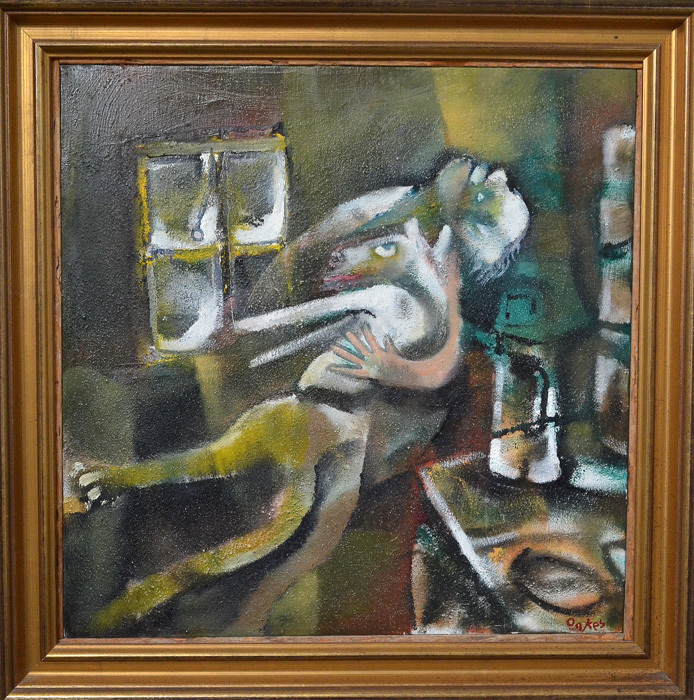 The Artist's paintings are represented in many collections both private and corporate. 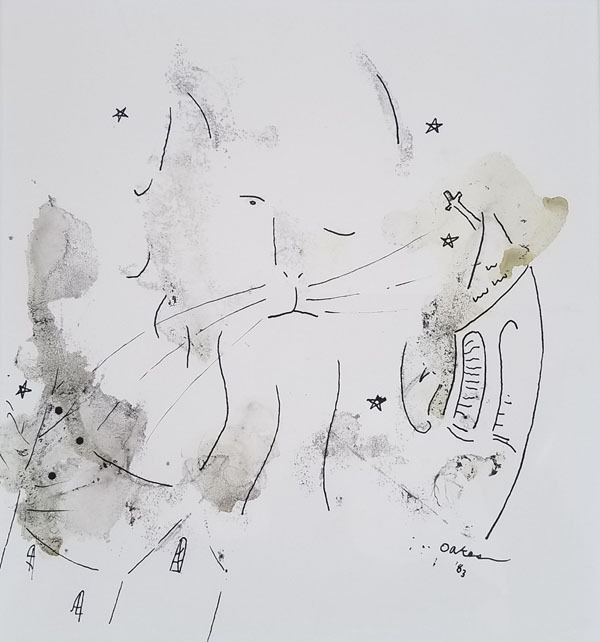 Cat in the Steeple, 8 x 9, ink and wash on paper, 1983 Available: $1,500. 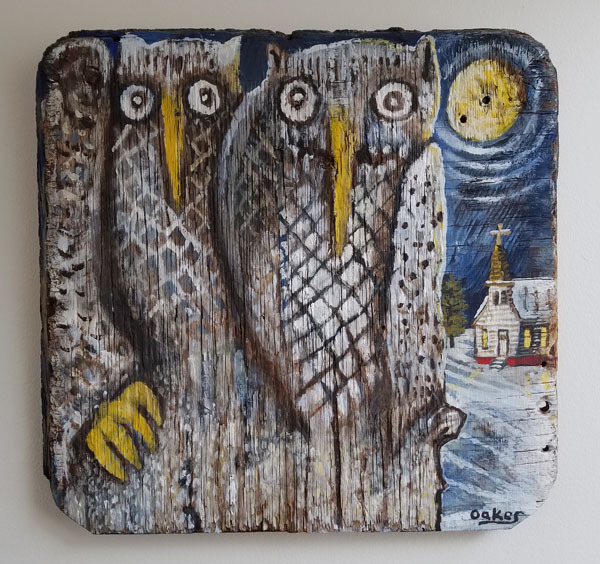 Charles Wilder Oakes - Church Owls - 12 x 12 Oil on Board $3,800. 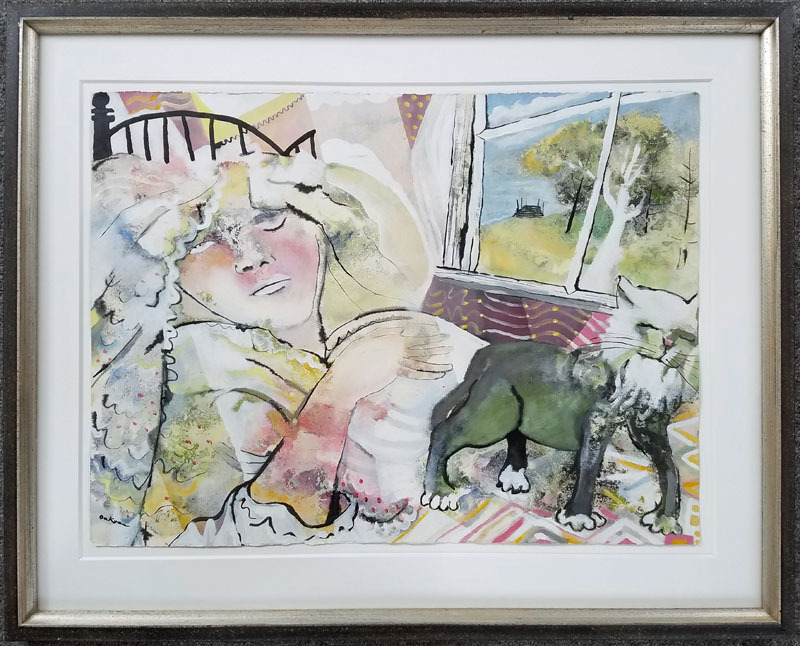 Charles Wilder Oakes - CAT NAP - $8,500. 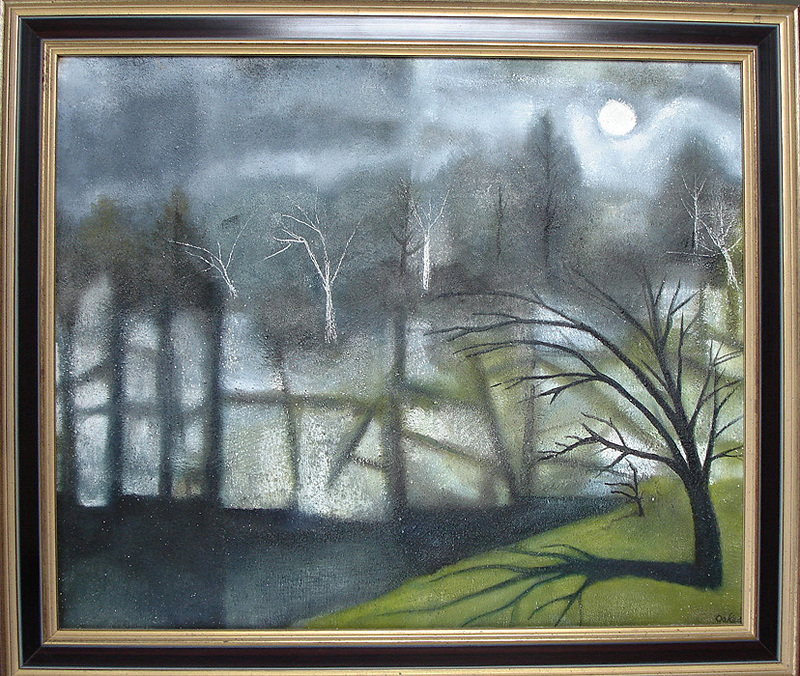 Painting size 18 x 24 inches, oil on canvas - $4,800. "The Roaring Spout" a Blow Hole on the Eastern shore of St. George, Maine - N.C. Wyeth labeled it the "Cannibal Shore"
Moonlight Quarry painting size 20 x 24 oil on canvas, $7,500. 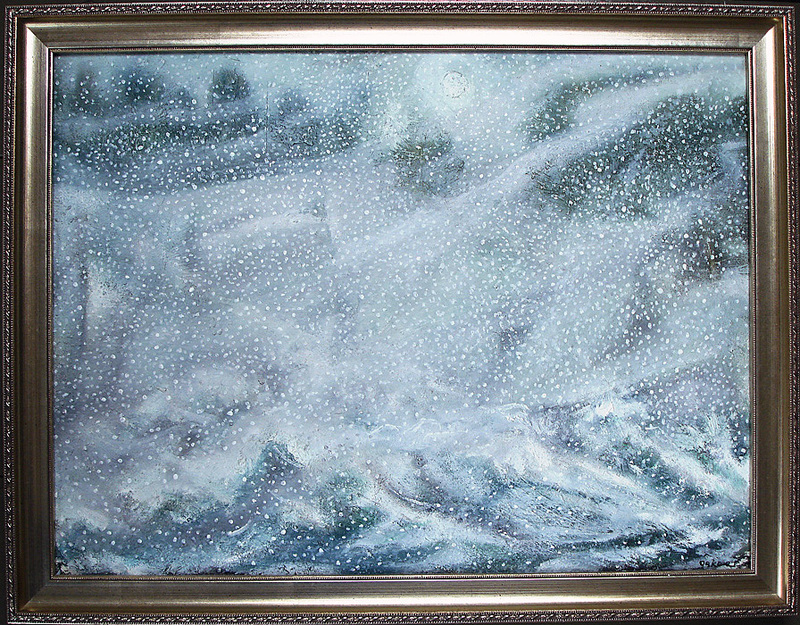 Winter Shanty Dream painting size 22 x 22 Oil on canvas - $25,000. 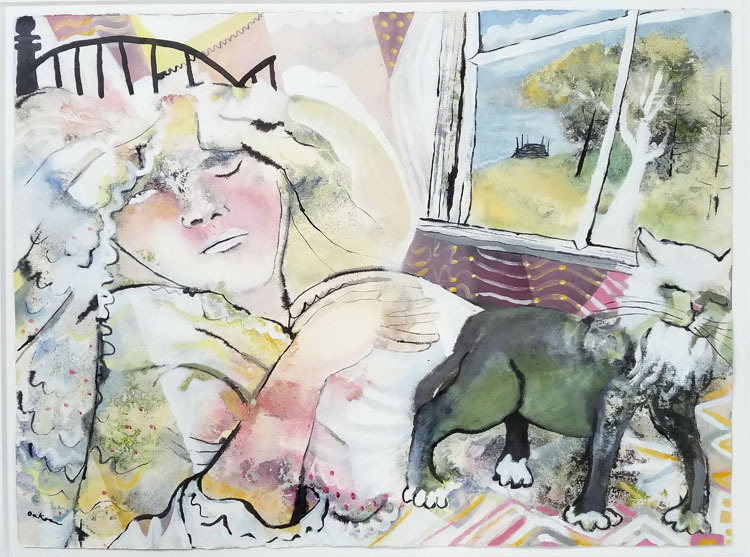 Chagall like early work by Charles Wilder Oakes about 1980 from "my Port Clyde"
"Dead of Maine winter - wind blowing nor'east - a restless sea nearby. Window pane rattles - snow dusts under the jamb. The old range sparks cheerful approval consuming last springs biscuit wood while a kerosene flame casts its flickering glow. Old friends peer into the night, sleepy-eyed, mindful of their own dreams - the moment soon passes, the evening, and the winter..